When applying for Canadian Citizenship, a PR Card, a Canada Visa, a Study or Work Permit, it is necessary that you submit your IRCC application using the most current form available. Most Popular Forms Click on form number below to Start or Download Now. 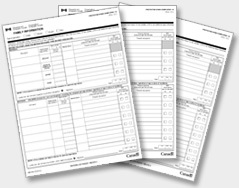 * Immigration Direct strives to keep its forms and documents accurate, current and up-to-date. However, because the law changes rapidly, Immigration Direct does not represent that all of the government forms and information on the Website are correct, complete or up to date.